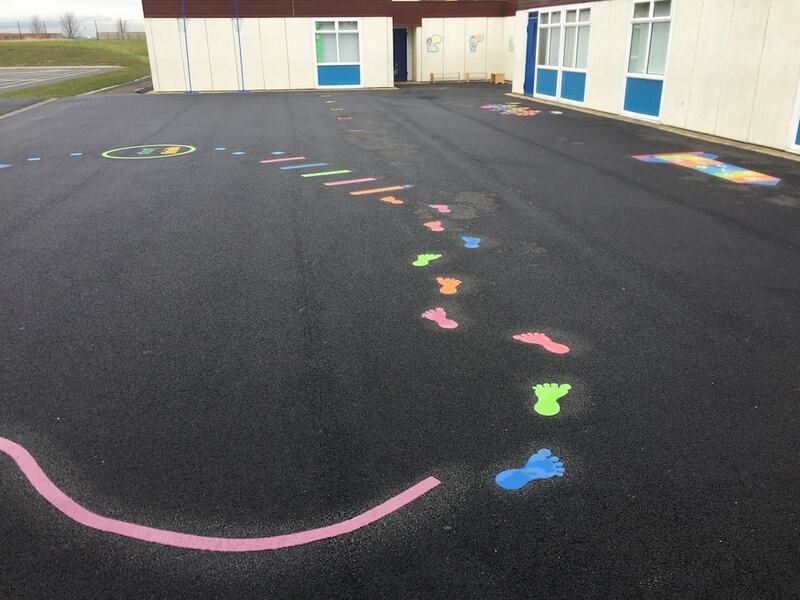 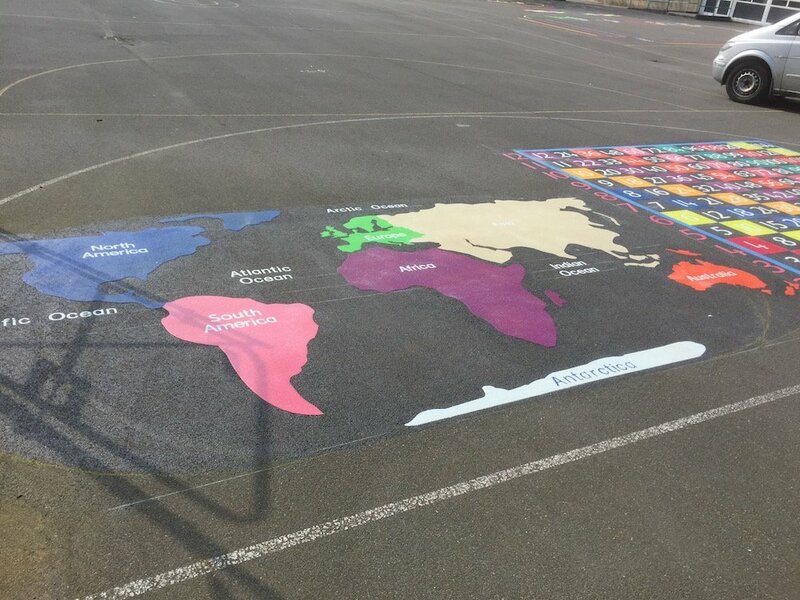 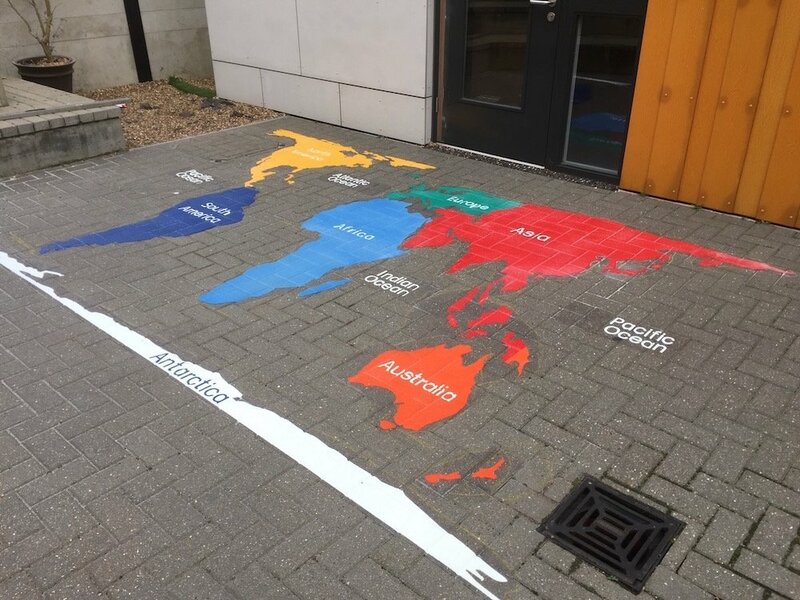 first4playgrounds installation team recently installed a range of playground markings in Hetton near Sunderland. 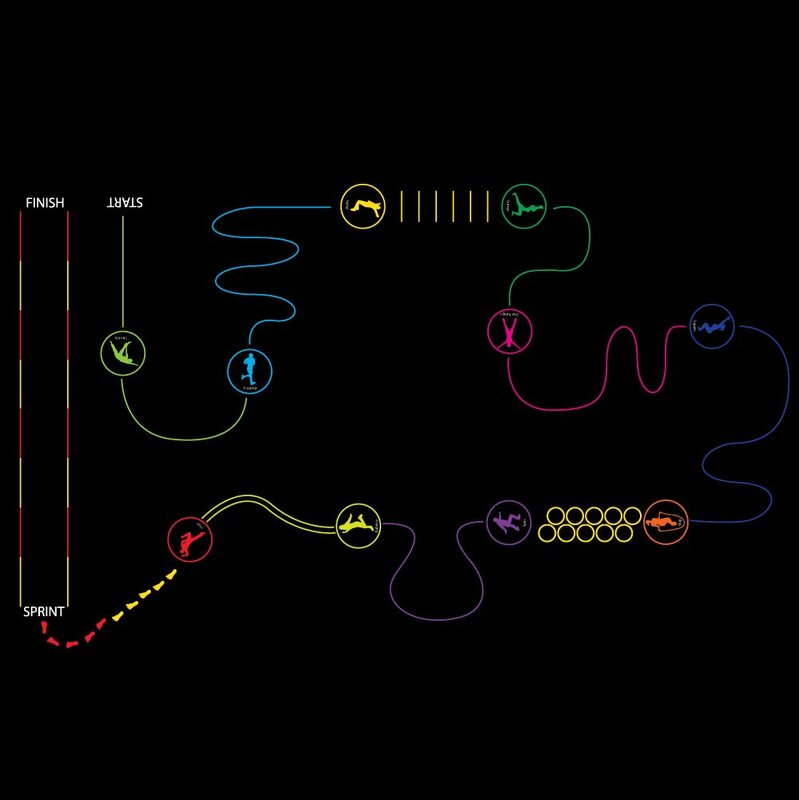 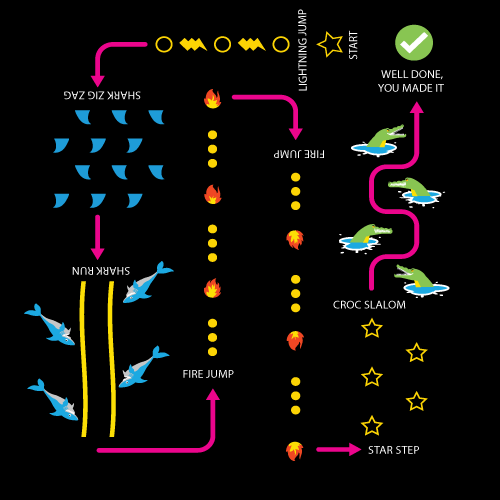 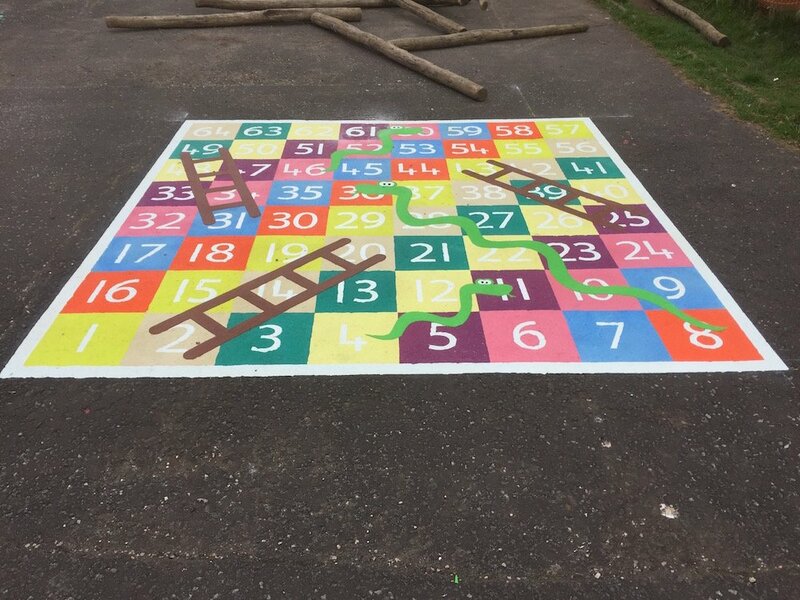 The first of these was a rocket hopscotch, this is a fantastic twist on our classic hopscotch game. 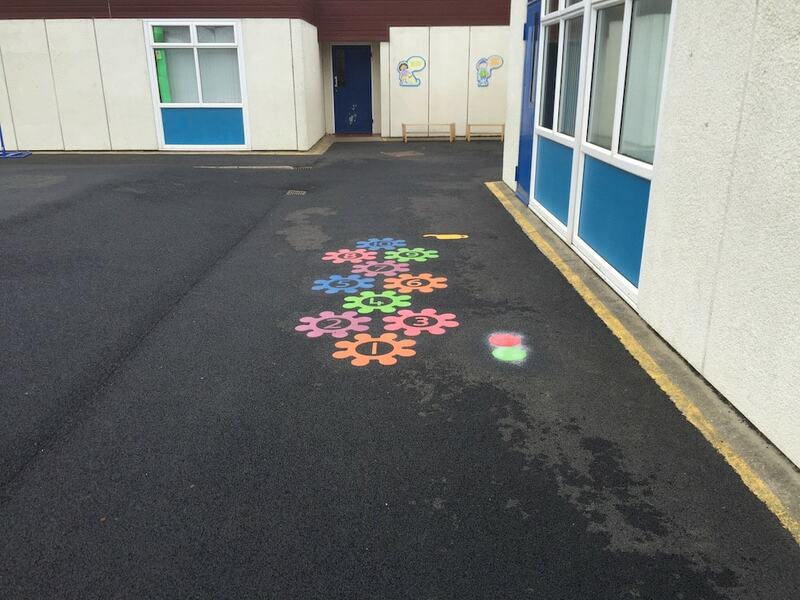 Secondly we installed a cog hopscotch. 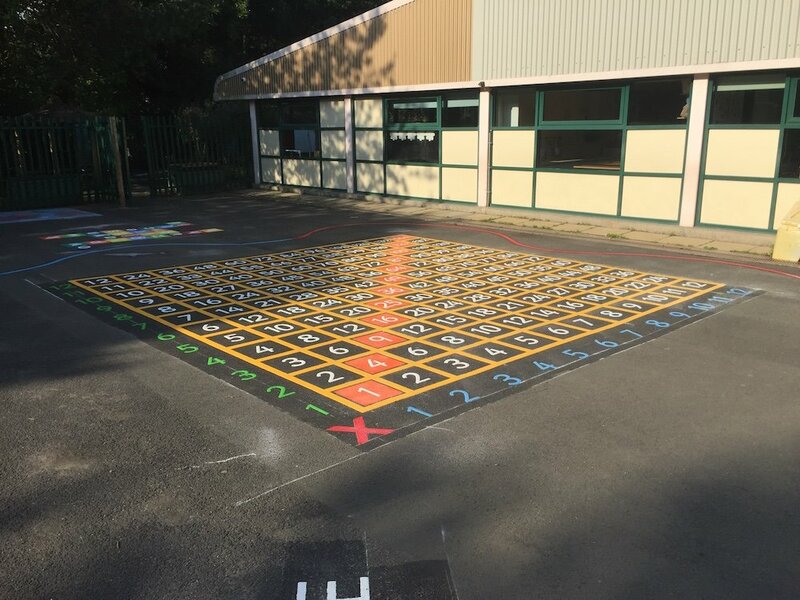 This is a very recent addition to our stock, another twist off from our classic hopscotch game. 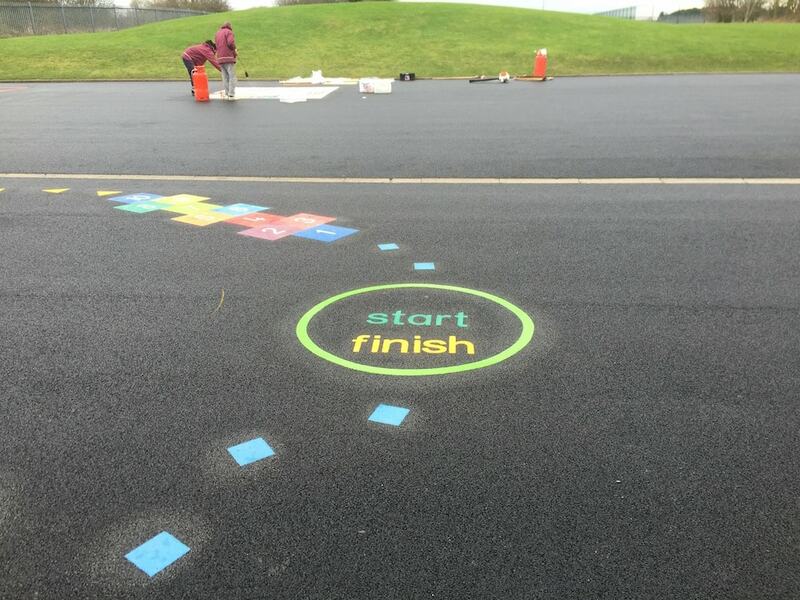 Next the team installed three training squares. 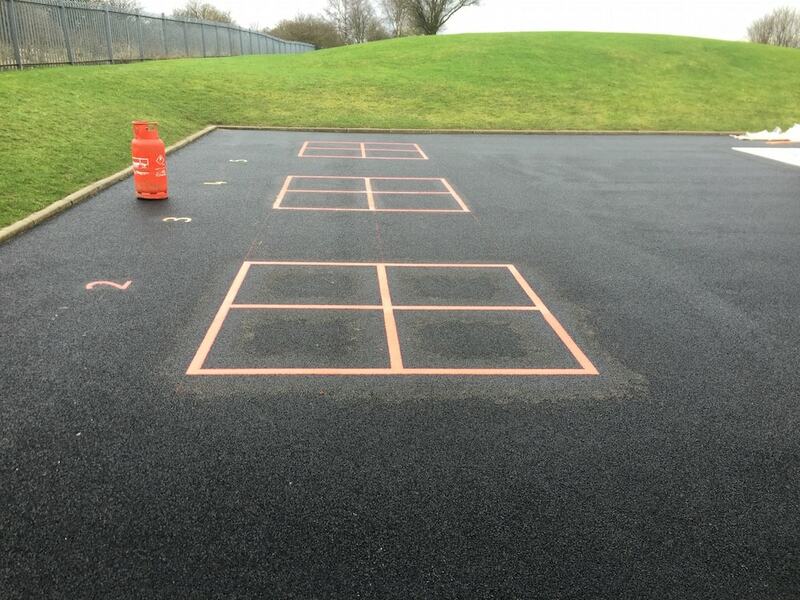 These can be used for numerous different games in P.E. 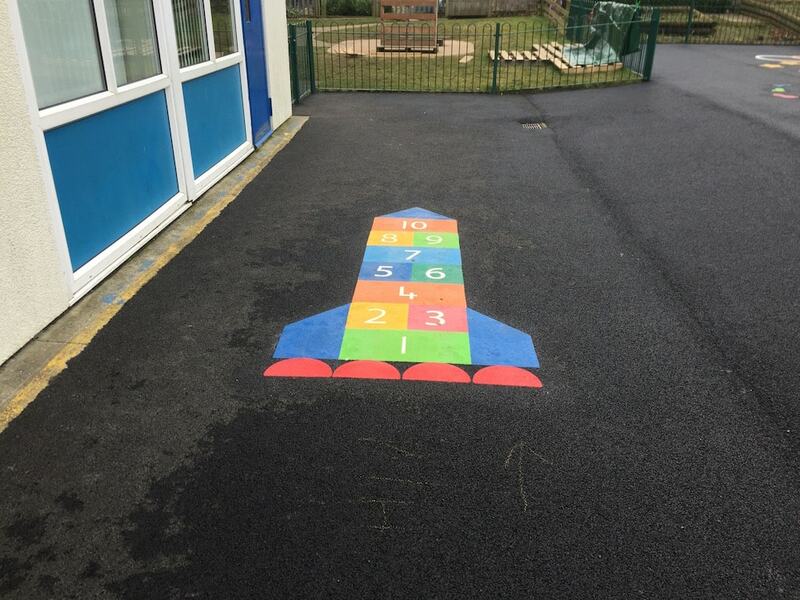 Lastly the team installed and activity trail. 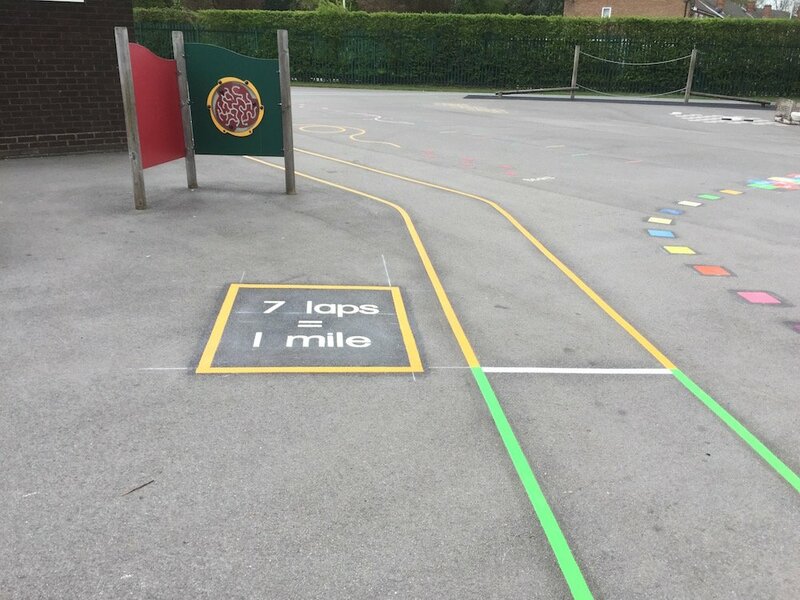 These bright colourful thermoplastic playground markings where exactly what the school board was looking for.